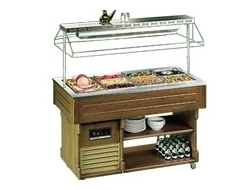 Fridgesmart stock the very best chilled and heated buffet displays in the catering industry, allowing you to put on the perfect buffet for guests at your hotel, cafe or restaurant. 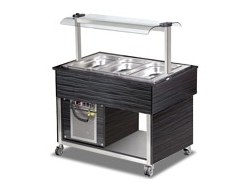 Take advantage of some of our fantastic products including the tecfrigo cold buffet display to show off your finest canapés and appetisers to desserts and afternoon tea selection, pasta and salad creations. 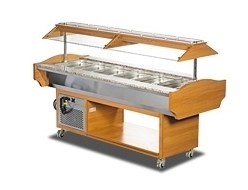 Providing attractive and eye catching displays for your food items on constant display. 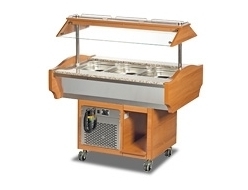 We offer a wide range of buffet display stands and equipment to help establishments present food to the highest standards possible. 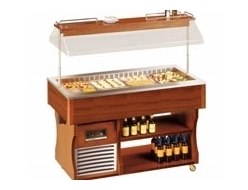 See our full range of best-selling international brands, at competitive prices from Tefcold and Tecfrigo. 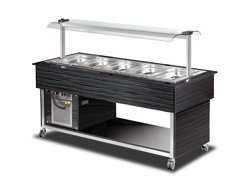 Find more information on our best selling Isola range buffet display ideal for any cafe or restaurant. 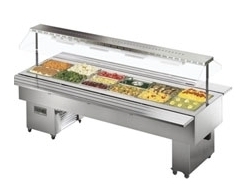 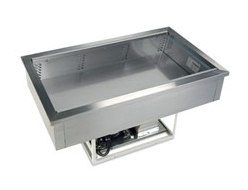 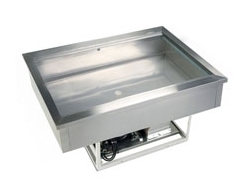 Units allow customers to access food easily while providing an electronic wind down sneeze guard for protection. 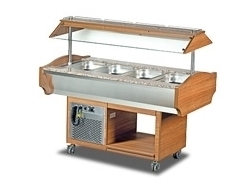 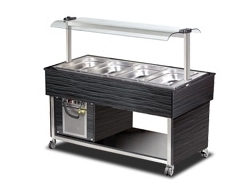 Contact one of our team if you have any questions about which hot or cold buffet display stand is right for you.